December 26, 2008 - GlenMartin Inc., a global tower solutions provider, has promoted Tom Ferguson as its US sales manager. Ferguson, 38, is a highly-motivated professional with over 15 years experience in management, sales, and business in the construction and telecommunications industry. In Ferguson's role as national sales manager, his primary focus will be overseeing multiple regional sales managers strategically located throughout the US, as well as the growth and development of a variety of industry market segments, including capitalizing on several highly anticipated state and federal contracts. Ferguson has been working at GlenMartin since Oct. 2007, and has developed a successful reputation for creating change. Prior to being named national sales manager, Ferguson was the northeast region sales manager. Ferguson attributes his rapid success with GlenMartin to his tenacious approach at meeting and exceeding company and industry standards, as well as a commitment to under-promise and over-deliver. "Tom has made a reputation for looking beyond the status quo to identify and capitalize on new profit building opportunities," said GlenMartin's VP of operations, Tatum Martin. Ferguson, is stationed at GlenMartin's Pennsylvannia-based office, and works closely with headquarters staff in Boonville, Mo. Ferguson is in constant contact with the business development and customer service teams to continually develop and leverage strategic relationships with clients. "Strong work ethics, great communication skills, along with a genuine understanding of the needs of clients and team members are what make Tom a stand out national sales manager," said Martin. "With the outstanding team I'm privileged to be leading, I'm looking forward to the year ahead," said Ferguson. "Our goal is to develop successful routines to sustain our rapidly expanding business, and above all else, assist in accomplishing the company's ongoing mission to put the customers' needs above the rest." A west-coast native, Ferguson now lives outside Harrisburg with his wife, Allyson and son, Colin, 15. With attendance at several colleges and universities to his credit, Ferguson's has degreed academic achievements in business management, architecture and construction management. He also holds key roles and memberships in a variety of industry-related associations. In his spare time, when Tom isn't coaching his son in AAU baseball, he enjoys skiing, golf, scuba diving, travel and catching a ballgame with his family. Ferguson is excited about his advancement and looks forward to being an integral part of the growth and development at GlenMartin Inc.
December 15, 2008 - When Monie Okponobi decided she wanted to immigrate to the United States in 2002, she dreamed of voting in an election here. The 33-year-old native of Benin, Nigeria, saw her dream came true last month when she cast her first ballot in the U.S.
"I felt privileged to be able to cast my vote," Okponobi said. "I made sure to watch the debates and understand the candidates' positions on the issues that I cared about. Then I made an informed decision on whom to cast my vote for. I voted very early - at 5:40 a.m. I felt proud as I walked out of the election booth," the GlenMartin, Inc. worker said. Okponobi arrived in the U.S. in 2003 on an immigrant visa and was eligible to become a citizen by naturalization this year. She was excited about the opportunity after spending her first 28 years in Nigeria, which experienced its first civilian transfer of power in April 2007. "I was ecstatic," Okponobi said. "I was very excited about gaining my citizenship. It also meant I was going to be able to vote for the rest of my life!" Okponobi lives in Columbia, Mo., with her husband, Shuaib, and their 2-year-old son. Growing up, Okponobi said, she always knew that she wanted to work in a field that involved numbers. Okponobi works as an accountant at GlenMartin Inc. in Boonville, Mo., a tower-solutions provider that takes pride in being an international company with a well-rounded and diverse work force. "In reality, we manufacture steel structures," GlenMartin President Sandra Martin said, "but we also like to look at the human side of the product and all of the hard work that goes into producing our towers." GlenMartin has about 600 employees worldwide, and more than half of its employees are from different continents, including Asia, South America, Africa and Europe. "I really enjoy GlenMartin's dynamic organization and being a part of the tremendous growth the company is experiencing," Okponobi said. "I am involved in every department's transactions, so I never feel like I miss out on anything." "Monie is exceptional to work with," GlenMartin Accounting Manager Tami Green said. "It is so nice to work with employees who can speak several different languages - and all under one roof. For being such a large international company, it's vital that we have a well-rounded team of employees. We're lucky to have individuals like Monie on staff!" December 3, 2008 - "Wireless Infrastructure - Why you need it and how to zone it," was the titled seminar presented at the 2008 American Planners Association of PA conference in Pittsburgh recently. Frank Carney, Jr.; board member of the PA eCommerce Association and co-chair of the Pennsylvania Wireless Association Legislative and Regulatory Committee; and Robert Smith, AICP; founder of Anvil Partners, LLC; presented the session to professional planners in attendance from PA, WV and OH. Carney and Smith addressed the concerns of municipal governments and the wireless industry, and the mutual benefits and engineering challenges to be considered when zoning towers and broadcast facilities. To be effective, attendees were informed, localities have to be proactive, and take the first step in creating appropriate controls and imposing them, mandating continuing compliance and facilitating the community's plans and objectives. Both presenters discussed the many benefits that can be derived such as a faster, facilitated permitting process with less conflict; consistent compliance and performance; appropriate integration, reduced visual impacts; and enhanced co-location. The session was applicable to Continuing Education credits for the attendees. Smith, who founded Anvil Partners, LLC in 2008, has served on both sides of the negotiating table -- as a professional city manager and as former National Manager, Zoning Compliance at Crown Castle USA, Inc. Anvil Partners, LLC is a consulting firm to area governments seeking assistance in engaging and regulating wireless communications infrastructure. Carney is currently consulting with broadcast, wireless and other businesses on issues from operations and marketing to business and content development. He is the former president of MTT First, Inc., a telecommunications and wireless Internet Service Provider in PA.
November 13, 2008 - Sabre Industries, Inc. announced the opening of Sabre Galvanizing, the most efficient and environmentally-friendly general galvanizer in the United States. Located on Sabre's industrial complex along Hwy. 67 in Alvarado, TX, this new state-of-the-art facility utilizes the latest technology in hot-dip galvanizing. "Sabre Industries is pleased to announce the opening of our new galvanizing facility. This facility is the only one of its kind in North America, and is a lean, green operation. Sabre's galvanizing process conserves energy, reduces emissions, minimizes the operational carbon footprint, and provides zero hazardous waste generation," said James Mack, President and Chief Executive Officer of Sabre Industries, Inc., parent company of Sabre Galvanizing. "Sabre Galvanizing will set a new standard of excellence in hot dip galvanizing," Mack stated. One of the largest to be found in the United States, Sabre Galvanizing is a 42,239 square foot hot dip galvanizer situated on 35 acres with ample storage and staging space. The facility houses one of the biggest operating kettles in the world, measuring 65' long x 11' deep x 9' wide and holding 2.58 million pounds of molten zinc. David de Poincy, President of Sabre Divisions, commented, "Sabre Galvanizing has the capacity to galvanize the largest steel fabrications. Our 65' long by 11' deep kettle provides for greater heat sink reducing possible distortion and, in many instances, the need for 'double dipping'. This facility will provide regional steel fabricators with exceptional corrosion protection." Sabre Industries, Inc. designs and manufactures towers, poles, telecom shelters, tower accessories and utility structures. Services include complete site construction, field maintenance and the latest in hot-dip galvanizing. For more information on Sabre Industries, visit www.sabreindustriesinc.com. November 6, 2008 - Updated November 7, 2008 with comments from ICM President Bill Gray. Although the company is cash strapped, according to its most recent financial report, Competitive Companies, Inc. of Riverside, CA has entered into a letter of intent to acquire 40 microwave towers originally constructed by AT&T and MCI, from Worldwide Communications, Inc. The towers to be purchased, valued at approximately $2,000,000, are located in alternate tier markets in 13 states in the United States, according to a company news release that appeared on most major financial web sites and news media outlets yesterday. CCI said the new 40 tower network acquisition provides a critical link for CCI to fully enable a broadband IP-based network in conjunction with the company's existing fiber optics core fixed wireless equipment and technology, and allows them to enter the rural market demand for broadband-IP services. CCI provided no information for Worldwide Communications, Inc., although Worldwide Communications Associates is listed by the FCC as the owner of a number of rural communications sites with an address in San Francisco that is the headquarters of Telava Networks, Inc.
Telava Networks lists its primary asset in its annual report as microwave towers valued at $1,998,765. Telava was contacted twice for information regarding a possible sale of their structures, but a company representative said that their media relations representative wasn't available. In May of 2006, Televa acquired 115 towers from Corban Networks and later that year acquired 40 more towers through its subsidiary Telava Wireless, Inc.
CCI's financial statements for the years ended December 31, 2007 and 2006, identified net losses of $438,436 and $179,723, respectively. According to their 2007 10-K, their accumulated deficit at the end of December 31, 2007 was $2,770,971. In CCI's quarterly report ended June 30, 2008, CEO Jerald Woods cautioned that as a result of the company's lack of working capital and other factors, their auditors said in their audit report that they have substantial doubt about the company's ability to continue as a going concern. Woods said he would need an infusion of $250,000 to fund continuing operations for the next 12 months. "If we are unable to obtain additional financing, we will likely be required to curtail our marketing and development plans and possibly cease our operations," Woods said. In September, CCI and Innovation Capital Management, Inc., the parent company of an internet service provider and web site designer in Eau Claire, WI, agreed to merge the two companies' operations and proprietary technology under CCI. Bill Gray, President of ICM, said the near term merger will allow CCI to take advantage of his company's proprietary technology and his background in capital markets. He said that the acquisition of the 40 towers was going to be financed with "some cash and preferred CCI stock". Gray said that CCI is purchasing the structures from Worldwide Communications Associates' portfolio of towers. He stated that Worldwide Communications Associates has no involvement with Telava Networks. Gray says he expects CCI to purchase additional sites in the future as its broadband network expands. He said that CCI will realize significant advantages because of ICM's interconnection agreements with AT&T and Verizon. It is believed that a number of the Worldwide Communications Associates towers are bare steel on leased properties such as one located in Holly Springs, MS.
Based upon a selling price of $2 million, the $50,000 per tower might appear to be low based upon current multiples. However, one Midwest consolidator said, "Leased land. Unloaded. I have a number of unloaded sites on leased land that I would love to sell for 50k." November 5, 2008 - Midwest Underground Technology, Inc. of Champaign, IL has been selected for the Inc. 5000 list of the fastest-growing private companies in America. Inc. 500, a national business magazine, recognizes entrepreneurial companies annually that are changing the business landscape in America. According to Inc. 500, companies that make this list "are the elite - a mere sliver of the seven million or so companies in the U.S. that have employees. MUTI, a multi-disciplined wireless construction company, was founded in 2000 and is on Inc. 5000's list at number 2,086 for their record 177% growth in the past year. This is the second consecutive year that MUTI has been honored on the list. October 22, 2008 - Patrick Shea and Scott Hermesmeyer of Crump Insurance Services, Inc. in Austin, TX have designed an insurance program for telecom construction companies with a focus on fall protection and drug and alcohol prevention. Shea and Hermesmeyer, co-founders 12 years ago of the National Association of Tower Erectors original insurance program for telecom construction, will offer their program to selected insurance agents nationwide. The program will provide insurance and risk management tools for companies involved in all aspects of telecom construction. A dedicated team of safety professionals will provide resources for each member company to enhance their current safety program and assist companies in the field. Shea expects that up to $200,000 will be available for these additional training programs during 2009. These resources will include on-site fall protection tools, keys to a drug and alcohol free job-site, and many other tools that will be specific to telecom construction. "We are making available an all lines program for all sizes of tower erectors that is not available in the industry,"said Shea who manages the program. Crump is working with a noted A+ rated carrier to be the exclusive company for this program. The program offers the following coverage: Workers Compensation, General Liability and Umbrella Coverage. Shea and Hermesmeyer can be reached at 800-420-2079 for access to this program or email Patrick.Shea@crumpins.com for additional information. October 17, 2008 - Green Mountain Communications, Inc., a provider of telecommunication services for the wireless industry has been selected as one of America's Safest Companies for 2008 by Occupational Hazards magazine. The Wolfeboro, NH business is the first tower industry company to be honored with the award that is only granted to 18 other companies. "We are honored to be the first company in the tower industry to receive this prestigious award by Occupational Hazards magazine," said Catherine Drouin, Vice President, Green Mountain Communications, Inc.
"Our employees value the importance of working safely and have worked hard to adhere to all of the safety training and policies that we have implemented. We have been a NATE member since 1996, and over the past 12 years we have seen many changes in the wireless industry, but programs like the NATE/OSHA partnership help underscore the importance of a daily commitment to safety and help push others to develop their own programs so that safety becomes the only way of operating in our industry," said Drouin. In order to be considered for the America's Safest Companies award, the company had to demonstrate: support from management and employee involvement in safety, innovative solutions to safety challenges, injury and illness rates lower than the average for their industry; comprehensive training programs, evidence that prevention of incidents is the cornerstone of the safety process, good communication about the value of safety, and a way to substantiate the benefits of the safety process. "The 2008 America's Safest Companies honorees represent not only outstanding achievement domestically, but prove that one of our most valuable exports is the knowledge and will to conduct safe operations globally. If there was an olympics held for safety, these companies would all deserve gold medals," said Stephen Minter, publisher of Occupational Hazards. The 49-member company founded in 1993 prides itself on keeping safety top-of-mind 100% of the time and has a safety incentive policy which rewards its workers for putting safety first. "As a NATE member company, Green Mountain Communications is a leader in tower safety," said Patrick Howey, NATE Executive Director. "The America's Safest Companies award is verification that Green Mountain believes the only way to do a job right is to do it safely each and every day." In addition to the company's active involvement with the NATE/OSHA National Partnership, Green Mountain is an initial inductee into the OSHA Voluntary Protection Program, which recognizes the outstanding efforts of employers and employees who have achieved exemplary occupational safety and health. October 15, 2008 - Inc. has ranked the Houston, Texas company TWR Lighting, Inc. No. 4,089 on its annual Inc. 5,000 list of the fastest-growing private companies in the country. This marks the second consecutive year in which TWR Lighting has been honored. The Inc. 5,000, an extension of Inc. magazine's annual Inc. 500 list, catches many businesses that are too big to grow at the pace required to make the Inc. 500, as well as a host of smaller firms. Taken as a whole, these companies represent the backbone of the U.S. economy. TWR has had a three-year sales growth of 31%. September 30, 2008 - Creating a culture of safety requires constant dedication from everyone involved in the tower industry - from the CEOs of the tower owner, carrier or broadcast company, down to the tower climbers themselves. One of the first steps to establish a safe work environment is to ensure that only the most qualified contractors end up on job sites. But safety doesn't stop there, according to the National Association of Tower Erectors. NATE says safety must be emphasized every day, from the beginning of the project to the end and they will address some of the industry's most widely asked questions during a live Web cast they will host on October 7, 2:00 p.m. ET. Among other topics, Don Doty, Chairman of the Board of Directors for NATE, will discuss what you can do to ensure that established safety standards are lived up to by all parties involved in the aspects of site management, construction, installation and maintenance of tower sites. Click here to register for the live Webinar sponsored by Sabre Towers & Poles. September 23, 2008 - Key executives from Sprint Nextel Corp and Verizon Wireless, according to a Dow Jones report this week, said that that the financial services industry doesn't contribute a significant amount of revenue to carriers and they've been spared a financial impact from Wall Street's meltdown. However, for some manufacturers, such as ADC Telecommunications Inc, it has been an unkind three months as the one-time suitor of Andrew Corp. has watched its stock drop 44%. In addition, CommScope has seen its price decline 30%, more than triple the percentage of the loss experienced by the Dow Jones Industrial Average (8.4%) and NASDAQ (9.7%) during the same period. SBA Communications Corp and Crown Castle International Corp saw their shares pared 23% during the past few months. Bucking the trend were TESSCO Technologies, Inc. and Berliner Communications, Inc.
Due to excellent earnings, TESSCO, the nation's largest telecommunications supplier saw its stock rise 10.7% in a down market. The company said this week that its second quarter, which ends September 28, 2008, will be the third consecutive quarter of record earnings per share (the first quarter's $0.38 is the current record). In addition, TESSCO's earnings guidance range for the fiscal year ending March 29, 2009 was increased to $1.35 - $1.50 per share from the previously provided $1.25 - $1.40 per share. Last fiscal year's earnings per share was $0.88. Berliner Communications' share price surged 36.4% from June 23, 2008, where the thinly traded stock languished near $1.10. Industry observers believe the rise might be attributed to the company's recent announcement that it has entered into an agreement providing for a one-for-one share exchange with Old Berliner, Inc., the Company's largest shareholder. The transaction is designed to increase the number of shares in the company's "public float," improve liquidity for its shareholders, and also satisfy the company's contractual obligation to register shares for distribution to Old Berliner's shareholders. During 2007, the company reported a net income of $1,112,000. It's most current quarter ending March 31, 2008, identified a net income of $900,000. Berliner Communications, an end-to-end provider of outsourced services for the wireless communications industry, announced earlier this month that Richard Statler has joined the Elmwood Park, NJ-based company as Vice President - West Coast and will be responsible for sales, marketing and operations. Statler has nearly two decades of national and international experience in the development of large-scale wireless communication systems, spanning start-up ventures to large multinational telecom companies. Rich Berliner, CEO of BCI, stated, "Richard will play a pivotal role in the company's sales and marketing strategy as we look to expand our direct sales channel, enter new geographical markets, and broaden our network services portfolio." Prior to joining BCI Communications, Statler served as Vice President of Alcoa Wireless Services, which was later purchased by SAC Wireless, where he held the same position. August 24, 2008 - On March 15, riggers of Seacomm Erectors, Inc. of Sultan, WA were tensioning the third level of guy wires on KFI AM 640's new broadcast tower when it suddenly crashed to the ground in La Mirada, CA. A defective elevated ground anchor system was found to be the cause for the failure. Last week, Seacomm Erectors completed the new erection in less than two weeks and KFI is looking forward to broadcasting 50,000 watts next month. The previous elevated anchor utilized one back guy rod tensioned with one turnbuckle. See article and photographs. The new system has two turnbuckles, side struts and a considerably larger tie back design. To increase the electrical length of the antenna/tower, the newly installed structure has a 50-foot diameter top hat. Seacomm Erectors was founded as Seacoma Communications in 1975 and says that its history and safety record are among the best in the business. 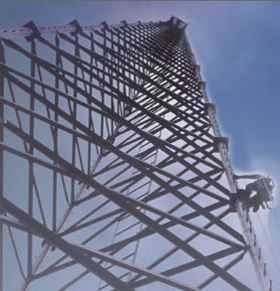 The company is one of the few specialists in tower erection that employ only union ironworkers. Built in 1947, KFI's 750-foot tower collapsed in December 2004 after being hit by a small plane. It took over three years working with planners to get approval for the tower that collapsed last March. August 12, 2008 - Advance registration for the PCIA 2008 Wireless Infrastructure Show will end August 22 for the event that is expected to see excellent attendance in Hollywood, FL from October 12 through 15 at the Westin Diplomat Resort and Spa. On-site registration will be available beginning October 12. Although rooms at the event site are currently sold out, additional hotel accommodations are available. The event is dedicated exclusively to the business interests of the wireless infrastructure industry, featuring over 75 exhibitors, top-notch educational sessions, world-class speakers and more than 1,500 industry representatives. Popular topics at this year's show include LTE, WiMax, Backup Power, Backhaul and DAS. You can view the schedule for more information on show sessions. Early registration for the full conference package includes admission to PCIA educational sessions, events, opening keynote luncheon, Titans of Towers keynote, professional seminar series, exhibit floor, policy makers' breakfast and closing ceremonies. Pricing for PCIA members is $695; non-members, $900; and government, $350. 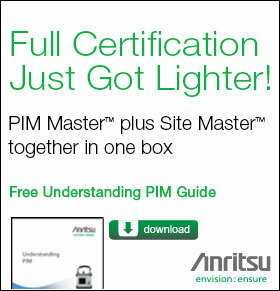 Complimentary registrations are available to carriers. Additional pricing and registration information can be found here. July 31, 2008 - In response to an analyst's question about acquisition opportunities of tower companies that could be left in the U.S., American Tower Corporation Chief Executive Officer James Taiclet discussed some "theoretical" alternatives that may or may not be available in the future, but focused upon the possibility of a merger with Crown Castle International or SBA Communications. During American Tower's second quarter conference call yesterday, industry observers were given an overview of the available prospects by Taiclet who said he was pleased to "talk about the universe for a few minutes." Although Taiclet and former CEO Steve Dodge have been frequently asked about potential merger opportunities during earnings calls, this is the first time the topic has been answered at length where candidates were identified. July 23, 2008 - Three major tower deals have been announced in the past three days with the most recent announcement coming from Cary, NC-based TowerCo that they have an agreement to buy 3,300 towers from Sprint Nextel for approximately $670 million in cash. Yesterday, SBA Communications announced the acquisition of Lightower Wireless, a day after inking a deal to purchase Optasite's tower holdings. In announcing the tower buy, Sprint Nextel and TowerCo said that they have entered into a long term leasing agreement where TowerCo will provide Sprint Nextel with wireless communications towers to support the company's CDMA, iDEN and WiMAX networks. "By leasing rather than owning these network facilities, we can better focus on our core business of providing communications services to consumers, businesses and government customers," said Bob Azzi, senior vice president, Field Engineering and Operations, Sprint Nextel. "Significantly, this transaction provides Sprint Nextel with additional liquidity which gives us greater flexibility in managing our company." "These are great towers concentrated in large metropolitan markets throughout the U.S. and will benefit as wireless communications continue to grow." said Richard Byrne, TowerCo's CEO. The specific number of towers and final purchase price will be determined at closing. The transaction, subject to customary closing conditions, is expected to close in 90 days. In March, SBA entered into an agreement to acquire up to 430 wireless communications towers owned by TowerCo for up to $193.5 million. The deal was closed June 2. July 22, 2008 - After announcing the acquisition of Optasite yesterday, SBA Communications came back today with another major deal, the Boca Raton, FL-based tower company has entered into an agreement under which SBA will acquire Lightower Wireless LLC. The Boxborough, MA vertical realtor owns 340 wireless communication tower sites in 23 states, five managed sites and five distributed antenna system networks. The owned tower sites currently average 2.2 tenants per site. Lightower Wireless is in the process of developing a number of additional towers and DAS networks. Both deals will add another 888 towers to SBA's portfolio. Optasite's CEO, Jim Eisenstein, was a co-founder and Chief Development Officer of American Tower Corporation. Lightower's CEO, Doug Wiest, also had executive roots with American Tower, serving as the company's chief operating officer. Both companies' corporate offices are in Massachusetts. SBA will purchase Lightower Wireless for roughly $200 million in cash, plus 1.15 million shares of SBA Class A common stock. However, if Lightower forgoes the stock option, SBA will pay $240 million in total cash value. The transaction is expected to close on or before October 31, 2008. At closing, Lightower Wireless is expected to be generating $18 million to $19 million of annualized site leasing revenue and $13 million to $14 million of annualized tower cash flow, based on anticipated monthly results for September 2008. Media Venture Partners advised Lightower in the transaction. July 21, 2008 -SBA Communications Corporation announced today that it will acqire Optasite Holding Company Inc. in a merger agreement under which a newly formed SBA subsidiary will merge with Optasite, which will then become a subsidiary of SBA. At closing, Optasite is anticipated to own 548 tower sites, located in 31 states, Puerto Rico and the U.S. Virgin Islands and approximately 45 managed site locations. The owned tower sites currently average 2.4 tenants per tower site. Optasite is also in the process of developing a number of additional tower sites. At closing, SBA will issue to the sellers 7.25 million shares of SBA Class A common stock, will assume Optasite's fully-drawn $150 million senior credit facility and will assume approximately $25 million of additional liabilities which SBA anticipates satisfying in cash contemporaneously with the closing. The transaction is expected to close on or before September 30, 2008. At closing, Optasite is expected to be generating $29.0 to $30.0 million of annualized site leasing revenue and $22.5 to $23.5 million of annualized tower cash flow, based on anticipated monthly results for August 2008. SBA anticipates that the transaction upon closing will be immediately accretive to equity free cash flow per share. "We are very excited to be entering into this transaction with Optasite", commented Jeffrey A. Stoops, President and Chief Executive officer of SBA. "I have known Jim Eisenstein, Optasite's CEO, for many years as a successful tower industry executive. Jim and his team have built a quality growth company with high-performing assets, which we believe will be integrated smoothly into our company and will continue to perform well as part of SBA." July 16, 2008 - The Valmont Specialty Structures Group, part of the Engineered Support Structures division of Valmont Industries, Inc., announced today the acquisition of Site Pro 1 Inc., a leader in the wireless components industry. Site Pro 1 has headquarters in New York, with additional locations in Atlanta, GA and Santa Fe Springs, CA. The strategic merger creates a national network of five locations that will give Valmont-Site Pro 1 the ability to provide its customers in the near future one day delivery of wireless components throughout 48 states. "We will combine the best practices of both companies to create an unrivaled wireless components supplier," said Joe Kerner, Vice President and General Manager of Valmont Specialty Structures Group while announcing the acquisition. "The engineering expertise and the additional manufacturing capabilities of Valmont will be joined with the industry-leading customer service team of Site Pro 1 to provide our customers with the best overall solution," he said. Site Pro 1 Inc.'s President, Joe Catapano, is joining the Valmont team and will be leading the integration of the two companies to maximize the strengths and benefits of Valmont and Site Pro 1. "We are excited about offering our customers more choices and an enhanced customer experience," Catapano said. July 10, 2008 - After being open for less than a month, both new and old customers are now enjoying the convenience and cost savings provided by Talley Communications Corp. at their new warehouse in Braunfels, TX. This facility follows Talley's Dallas facility, which opened in early March. As a leading distributor of wireless communications infrastructure and mobile products, the focus of this location is to service the wireless contractors and carriers in central and southern Texas. Products stocked include all the necessary site hardware including tower steel, cable, connectors, components and every-day consumables necessary to build and maintain wireless networks. "Due to the rising cost of fuel, our industry is forced to consider delivery cost rather than just price. It is with this in mind that we are expanding our service model to include depot locations like this one in New Braunfels," says Hal Wooden, Vice President of Talley. "Because we've been in the wireless communications industry for more than 25 years and we genuinely focus on customer needs, we understand that expanding our service model to other territories is just as important to customers as cost, quality, reliability and customer service," said Mark Talley, President of Talley Communications. "We are excited to be able to provide customers the service excellence and dependability they've come to expect from the Talley brand," Talley added. The New Braunfels facility is located at: 263 Lucinda Drive, New Braunfels, TX 78130. The direct phone number is 830.608.1123, toll free 800.949.7079 ext. 1670, e-mail: sales@talleycom.com . June 30, 2008 -- O'Brien Steel announced today that it has acquired the assets related to the tower and pole manufacturing operations of Rohn Products, formerly a Division of Radian Communication Services, Inc.
"Rohn is a natural fit for O'Brien Steel," said the company's chairman, Joseph E. O'Brien. "Both are located in Peoria, IL, and each has a long history of delivering steel-formed solutions to a loyal customer following. Rohn Products, LLC will continue to operate with very little change, offering a full range of tower and pole turnkey solutions to customers around the world." "This move will allow Rohn to improve its operational efficiencies by taking advantage of natural synergies between the two companies," O'Brien said. The two organizations have long histories of success that are expected to continue with the acquisition, said Rohn's national sales manager, David Ramsay. Ramsay, who previously served as Rohn Products, Manager, Construction Business Development, has been with the company since 1997. In 1948, Dwight Rohn, whose family owned Rohn, Inc., manufactured his first tower for home television reception. Rohn and the management team at the company, which primarily consisted of family members, correctly predicted the future growth of the communications industry. Soon the company was making not only towers, but poles, masts, and mounts. Although Rohn, Inc. began to design and produce a wide variety of towers and poles for the communications industry, during the late 1940s and early 1950s demand for such support structures remained relatively small. The annual sales figures for Rohn, Inc. averaged approximately $2 million throughout the entire decade of the 1950s. It was not until the 1960s and 1970s that demand for Rohn, Inc.'s products began to skyrocket and the company was then listed as the world's largest tower manufacturer. In the 1970s, the Peoria firm was acquired by UNARCO and later changed its name to UNR-Rohn. The company took the name Rohn Industries in 1998 to promote their complete line of shelters, towers and accessories. In 2003, Rohn was purchased by Radian and the name was changed to Radian Rohn. With today's announced acquisition by O'Brien Steel, the company has come full circle, returning to its roots and taking back the name Rohn, Ramsay said. O'Brien Steel Service was established in 1975. June 19, 2008 - Montreal, Canada-based Prestige Telecom Inc. will become the largest independent wireless infrastructure player in Canada with a significant presence in the U.S. following its announced acquisition of WesTower LLC of Houston, TX, and Radian Communication Services (Canada) Ltd. of Oakville, Ontario, for about $100 million in cash and shares. Combining the three will result in "a stronger and more strategic business than any of us could have achieved independently," said Pierre Yves Methot, Prestige's chairman and chief executive officer. "We believe that, with these two deals, our growth will be significant. We're well positioned to take advantage of the growing trend of telecom companies outsourcing EF&I services and the new construction arising from the wireless spectrum auction," he said. Jack Pulkinen, CEO and president of Radian Communications Services, said that the agreement does not include the Rohn Products Division, headquartered in Peoria, IL. "I am very pleased with this deal for Radian, as it caps our significant achievement of turning around Radian from a position of negative cash flow during the era of the telecommunication crash, to its current position of multiple years of positive EBITDA," Pulkinen said. The transactions, expected to close next month, will more than triple the labor force and quintuple the revenue of Prestige, which provides engineering, materials, installation and support services for the wireless, wireline and cable-television industries. June 16, 2008 - While president of Magnum Towers, Inc., in 2002, Lawrence Edward Smith's father passed away and Larry was challenged with acquiring contractors' licenses and taking over the operations at P&R Tower in Sacramento, CA. Like everything else he did in life, from obtaining his associate's degree in Sacramento City College to running a successful tower manufacturing plant, Larry welcomed the opportunity head on, with the same untiring zeal he displayed while deep sea fishing or attending sporting events, despite a debilitating accident that occurred almost 29 years ago. When he was diagnosed with cancer in 2006, he confronted it as another challenge to overcome. After fighting a 15-month battle he passed away on June 9 at age 57. "It was indeed my pleasure working with Larry on several tower projects over the years," said Bob Groome of ERI. He was always the gentleman and a true professional. It speaks volumes to say, I have never heard a harsh word about him anywhere in the broadcast industry." Marty Jackson of Marcom, said he was deeply saddened by the news of Larry's passing. "He overcame many obstacles in his life and was a friend to all who came in contact with Magnum Towers," he said. One of those obstacles, unknown to some clients, was Larry had to overcome the many challenges faced by a quadriplegic. On his high school senior ditch day in May 1969, Larry dove into a lake and hit his head on a submerged log. He broke his neck, causing paralysis from the chest down. He could use his arms but had minimal use of his fingers. After six months in a halo brace, extensive therapy and support of his family and friends, he fit his 6-foot-2 frame into a manual wheelchair and adapted to a new way of life without complaint. Through it all, his vibrant personality and adventurous spirit remained intact, family and friends said. Larry is survived by his wife, Paula. June 3, 2008 - TierOne Networks, a Dallas, Texas-based Wireless Internet Service Provider and Subcarrier Communications, Inc., one of the nation's largest owners/managers of telecommunications sites and services, recently announced a joint venture to build telecommunications sites in under-served markets to provide broadband internet access and related services. "The joint venture with Subcarrier Communications will allow us to build permanent highpoints in new markets where no suitable sites are available. The first installation for the joint venture will be in northern McKinney, Texas," said Kevin Weaver, President & CEO of TierOne Networks. "There are some areas with no communications towers and where local municipalities prohibit installing equipment on water towers. We expect the joint venture to create a substantial competitive advantage to TierOne as our exponential growth continues," he said. Subcarrier Communications CEO John Paleski commented, "The joint venture agreement creates an anchor tenant for us and eliminates the risk associated with building new towers. We expect the JV to accelerate our growth while reducing our overall risk profile." The deal is expected to accelerate broadband availability to rural customers through the combination of tower building expertise and a "carrier class" network provider. Subcarrier Communications, Inc., headquartered in Old Bridge, New Jersey, owns and/or manages in excess of 1,000 telecommunications tower sites throughout the U.S.
June 2, 2008 - With construction nearing completion, Tower Innovations, Inc. is ready to make a highly visible statement atop the 1,362-foot Trump International Hotel and Tower in Chicago, IL. The Newburg, IN company awarded Porta Fiberglass, Inc. of Edgewater, FL a contract to build the 200-foot fiberglass spire to top what will be Chicago's second tallest building behind the Sears Tower when it is completed in 2009. Tower Innovations is building the metal tower that will support the fiberglass covering. Porta Fiberglass is known for its work on building the SkyCell, a 24 foot diameter donut-shaped fiberglass room that sits at the 900 foot level on 1,000-foot broadcast towers. The fiberglass spire has been a special challenge beginning with the engineering, design, and then creation of multiple plugs, then molds, then finished parts. Todd Fuhrmann, president of Porta Fiberglass, Inc., says, "This is one of the most exciting architectural fiberglass projects to come our way. It is a great morale boost for all of us at the company in this time of economic uncertainty." Tower Innovations was founded in 2006 after acquiring two major manufacturers in the industry, Kline Towers, established in 1953, and Central Tower, established in 1984. June 2, 2008 - SBA Communications Corp. said it has completed the purchase of 424 wireless communications towers from TowerCo LLC for $190.8 million. The Boca Raton-based wireless communications tower owner and operator said the acquisition was funded by a draw under SBA's $335 million senior credit facility. The towers are located throughout the U.S. and are currently occupied by about 1.5 wireless telephony tenants per tower. The deal was announced March 19. SteelTree Partners LLC and the law firm of Paul, Weiss, Rifkind, Wharton & Garrison LLP represented TowerCo. Currently TowerCo has exclusive contracts to build over 100 towers directly for carriers throughout the U.S.
May 17, 2008 - Funeral services were held today for safety pioneers Philip Clemmons, 65, and Pat Clemmons, 64, of Cullman, Alabama, who died Monday when their plane Philip was piloting crashed in a wooded area in southeast Ohio. In 1988, Philip and his brother, Terry, founded Elk River Safety Belt Company in Cullman. Pat was also co-owner of the business and head of the company's customer service department. Elk River, Inc.'s operations grew to include a plant in Canada. The company was founded in Cullman and Athens in 1988 as the Elk River Safety Belt Company. As safety standards changed and body harnesses became the norm, Elk River shortened its name to keep with the times. Elk River also has a sewing plant located in Athens, Alabama, near the Elk River from which the company derived its name. The Clemmons were both active members of St. John's Evangelical Protestant Church and involved in the community. Patsy organized Oktoberfest activities for several years while Philip advocated animal rights as a member of the Cullman Area Animal Welfare Association. In addition to safety, Philip was also a champion for cancer awareness. Having survived both larynx cancer and lung cancer, Philip was awarded the Life Inspiration Award from the American Cancer Society in 2001 and was the speaker at the organization's awards banquet. Survivors include a son, two daughters and six grandchildren. April 25, 2008 - Crown Castle International Corp. has announced that Ben Moreland, the company's CFO, will become president and CEO of the tower company, effective July 1. John Kelly, Crown Castle's President and CEO, will remain with the company as Executive Vice Chairman of the Board of Directors. Kelly has been with Crown Castle since 1998, replacing the company's founder, Robert Crown, and was responsible for the tower company's growth with its acquisition of Global Signal last year. Jay Brown, currently Crown Castle's Vice President and Treasurer, will become Crown Castle's Senior Vice President and Chief Financial Officer. "The Board of Directors has been carefully evaluating our management succession plans and is extremely pleased with the depth of the management team that Mr. Kelly has built over the years,' stated Landis Martin, Chairman of the Board of Directors. April 14, 2008 - FiberTower Corporation, a wireless backhaul services provider, announced today that its board of directors has appointed Kurt Van Wagenen as President and Chief Executive Officer effective immediately. Van Wagenen was also elected to FiberTower's board of directors. Van Wagenen previously served as President and CEO of NEON Communications Group, Inc., a facilities-based wholesale communications provider that supplies carrier and enterprise customers with high bandwidth fiber optic capacity. "We are pleased to announce Kurt's appointment, which follows a rigorous selection process by the board of directors," said John Beletic, FiberTower's Chairman. "He has an impressive track record in both operations and business development, strong financial acumen and a background in engineering. We believe that the Company will deliver outstanding results and build shareholder value under his leadership." "I am very excited about the opportunity to lead FiberTower," Van Wagenen said. "After spending a number of years operating in the fiber industry, I fully believe that FiberTower's model of delivering wireless backhaul services using a hybrid microwave - fiber solution will become more compelling for carriers over the next few years." FiberTower's previous CEO, Michael Gallagher, resigned in January and the company's chief financial officer, Thomas Scott, and its chief operating officer, Ravi Potharlanka, ran FiberTower through a temporary "office of the president." April 2, 2008 - CommScope, Inc., a global leader in infrastructure solutions for communications networks, has reaffirmed its previously announced first quarter 2008 and calendar year 2008 financial guidance. CommScope Chairman and Chief Executive Officer Frank Drendel and other company management reviewed the company's wireless growth opportunities, reaffirmed financial guidance and highlighted the Andrew integration process when they met investors today at the CTIA WIRELESS 2008 conference in Las Vegas, NV. Following Federal Reserve Chairman Ben Bernanke's statement that the economy could contract in the first half of this year, but should then pick up as aggressive interest rate cuts stimulate growth, and financial and housing market woes recede, the market started to head south at noon, but cheered CommScope's announcement as its stock soared over $3.00 to $40.00. "In spite of ongoing economic concerns, we intend to execute on our previously announced cost reduction plans while we build upon our industry leading portfolio of products, broad geographic base and market diversity to create strong cash flow from operations in 2008," stated Drendel. "We have an experienced management team and solid competitive position and remain confident in our ability to create value for customers and stockholders." 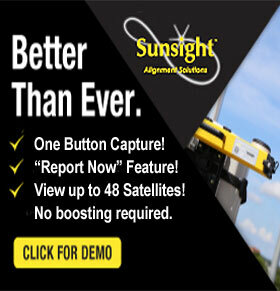 CommScope management reaffirmed the financial guidance that was issued on February 28, 2008. This guidance assumes the ability to recover higher raw material costs, a stable business environment and includes the previously announced $50 to $60 million in cost reduction synergies. March 19, 2008 - SBA Communications Corporation of Boca Raton, FL and TowerCo LLC of Cary, NC today announced that they have entered into an agreement under which it is anticipated that SBA will acquire up to 430 wireless communications towers owned by TowerCo LLC for up to $193.5 million. The specific number of towers and final purchase price will be determined at closing. The transaction is expected to close on or about May 30, 2008. The towers are located throughout the U.S and are currently occupied by approximately 1.5 wireless telephony tenants per tower. SBA expects to fund the purchase with cash on hand and a draw from its $335 million senior credit facility. SBA anticipates that the transaction will be accretive to equity free cash flow per share this year. TowerCo will continue its business of developing, owning, leasing and acquiring communications towers. The transaction was the result of exclusive negotiations between SBA and TowerCo. SteelTree Partners, LLC and the law firm of Paul, Weiss, Rifkind, Wharton & Garrison LLP represented TowerCo. SBA is a leading independent owner and operator of wireless communications infrastructure in the United States. SBA generates revenue from two primary businesses - site leasing and site development services. The primary focus of the Company is the leasing of antenna space on its multi-tenant towers to a variety of wireless service providers under long-term lease contracts. Since it was founded in 1989, SBA has participated in the development of over 35,000 antenna sites in the United States. TowerCo was founded in 2004 by Tailwind Capital and industry veterans Richard Byrne, Chief Executive Officer, and Scot Lloyd, Chief Operating Officer, to meet the infrastructure needs of wireless service providers by developing, owning and leasing communication towers. Soros Strategic Partners invested in TowerCo in December 2005. Currently TowerCo has exclusive contracts to build over 100 towers directly for carriers throughout the U.S.
March 19, 2008 - The executive vice president of international operations for American Tower Corp. and its chief financial officer were compensated yesterday when they exercised options and then immediately sold their shares for an approximate gain of $750,000 and $2,500,000 respectively. In a Form 4 filed with the SEC, Executive Vice President William H. Hess reported he exercised options on Tuesday for $18.15 apiece, then sold all 37,500 shares on the same day for $37.80 to $39.12. Bradley E. Singer reported he exercised his options Friday for $10.50 apiece and then sold all the 95,000 shares the same day for $36.83 to $37.33 apiece. The stock sale was conducted under a prearranged 10b5-1 trading plan, which allows a company insider to set up a program in advance for such transactions and proceed with them even if he or she comes into possession of material nonpublic information. On Friday, American Tower said it will repurchase up to $1.5 billion of Class A common stock. It expects to fund the repurchases through a combination of cash on hand, cash generated by operations, borrowings under its revolving credit facility and future financing transactions. The company also said that the Securities and Exchange Commission is contemplating civil enforcement recommendations against a former officer of the company. American Tower projected 2008 rental and management segment revenue of $1.52 billion to $1.54 billion and income from continuing operations of $126 million to $143 million. March 18, 2008 - Carrier Class Site Development, LLC, a company that develops and leases communication tower sites, has entered into a joint communications tower development venture with Liberty Towers, LLC headquartered in the Washington, D.C. area. Over the next three years, CarrierClass and Liberty will develop at least 60 high-quality, EIA/TIA-222 Revision G standard tower sites in high carrier demand locations throughout Delaware, Maryland, New Jersey, and Pennsylvania. According to CarrierClass CEO Jim Innes, "This venture combines Liberty's financial and operating strength with CarrierClass's knowledge and site development experience in the Northeast Corridor. The companies' combined talents create a powerful level of technical and operational experience, coupled with 20-plus years of tower industry involvement, a shared reputation for high ethical standards and peer respect that few others in our industry can match." Michael Hofe, Managing Director, President & COO of Liberty, stated, "Jim Innes and CarrierClass represent integrity and quality in the wireless industry. We are extremely pleased and excited about the opportunities that our relationship will develop. We know that that our carrier partners will benefit from our hands-on approach to delivering quality sites on a timely basis." Innes has played an active role in expanding Pennsylvania's telecommunications infrastructure since 1985 when he joined the pioneering microwave "bypass" carrier MetroNet Communications. Since then, he has held management positions with Glasgal Communications, MicroNet Communications, Apex Site Management and American Tower Corp., all involving their activities in Pennsylvania. Hofe has been involved in the wireless telecommunications industry for 25 years, participating in every aspect of system design, deployment and ongoing operations. Hofe holds several Federal Communications Commission Licenses, including a Lifetime General Radiotelephone Operator license. He is a past member of the National Association of Tower Erectors Safety and Education Committee. March 11, 2008 - Steve Wilder, Vice-President for Training and Development for CITCA, the Communications Industry Training and Certification Academy, announced today that CITCA has been notified that they are now a Bechtel approved provider of training for the tower erection industry. In making the announcement, Wilder noted, "We have been confident all along that we would earn the Bechtel recognition. As a company whose mission is focused on safety and training, we knew that our philosophy on workplace safety and quality training was parallel to that of Bechtel". As a result of the approval, Wilder expects a major increase in training requests. "Every month, we receive calls from companies asking for our training, but needing us to be Bechtel approved. Our reputation for quality training programs at affordable rates has been the basis for our ongoing growth in the past few years. Now, companies who are Bechtel contractors can take advantage of those programs benefits as well," he noted. CITCA, which offers college accredited training for its clients, is based on the campus of Kankakee Community College in Kankakee, IL, about 60 miles south of Chicago. "College accreditation is one of the unique features that sets us apart from non-accredited programs," Wilder said. "Regardless if a CITCA student is using the credits toward earning a college degree, it is an important credential that employers recognize when hiring the most qualified candidates, and that they recognize when they evaluate the quality of the training their employees are receiving," he said. In addition to the campus in the suburbs of Chicago, CITCA classes are portable. "Our instructors travel, and we regularly visit the client's site to provide the same accredited training that we provide on our campus. In today's tight economy, it is another opportunity for us to save our clients money while making sure they receive the quality training they demand," he added. "We are presently involved in discussions to open training facilities in other parts of the nation, which will only expand what we are able to offer to the industry," said Wilder. For more information, Wilder can be reached at 800-313-5159 or at swilder@CITCA4training.com. February 25, 2008 - Crown Castle International's President and Chief Executive Officer, John Kelly, was enthusiastic about his company's additional investment of $55 million in FiberTower Corporation during an analysts' conference call during August of 2005. Kelly said that they were very interested in increasing FiberTower's backhaul services for carriers and were "very happy with our current investment level and will continue to grow it and report to you on how that business looks on future calls." "So we're very excited about what the potential of that particular company is and the reason we have maintained our interest in it at about a third of the total company," Kelly said. Ben Moreland, Crown Castle's Chief Financial Officer, informed analysts that Crown Castle was focusing upon the long term and he saw a tremendous opportunity to grow value in the investment and consider liquidity options down the road. One of those options was exercised earlier this month when CCI reported that it had reduced the value of its FiberTower investment by taking a $75.6 million write-down during Q4 2007. However, FiberTower is still a strong candidate for taking a financially healthy bite out of the $17 billion cell site backhaul market. FiberTower's backhaul system for wireless carriers, the company says, decreases service outages by 50 to 60 percent while costing the provider considerably less. The company uses point-to-point microwave radio links to move cellular traffic from the tower to a central aggregation point; multiplexes and grooms it; then sends it on its way to the provider's main switch via a leased fiber line. February 25, 2008 - American Tower Corporation (AMT), the nation's second largest operator of broadcast and wireless communications towers, reported today that fourth quarter revenue rose 12% to $378.1 million. Rental and management segment revenues increased 12% to $370.5 million. Rental and management segment gross margin increased 14% to $284.2 million and network development services segment revenue and gross margin increased to $7.6 million and $3.9 million, respectively. The company said it would be late in filing its full financials with the Securities and Exchange Commission because it's reviewing some non-cash special items related to the December 2003 bankruptcy of a former subsidiary, Veristar. For 2008, American Tower expects rental and management revenue of $1.52 billion to $1.54 billion, up from 2007's $1.43 billion. February 8, 2008 - American Tower Corporation announced today that it has voluntarily withdrawn its December 27, 2007 lawsuit against Jide J. Zeitlin, The Keffi Group Ltd. and IMIL. The Company has taken this action following a meeting between the parties. The result was reached amicably. No payments or other forms of consideration were made by Jide J. Zeitlin, The Keffi Group Ltd. or IMIL as part of the resolution of this matter. WirelessEstimator.com reported on January 2 that American Tower had alleged that Zeitlin used the email address of its chairman and CEO, James Taiclet Jr., to try to weaken the company's position with institutional investors. February 7, 2008 - AT&T is casting a wider net for mobile customers this year by building out its network to make catching a high speed wireless web connection easier coast-to-coast. It will also provide site acquisition, equipment manufacturers, installation contractors and all other quarters of the infrastructure industry the opportunity to latch on to additional opportunities to assist in bringing the carrier's 3G wireless broadband service to more than 80 additional cities in the U.S.
Once this upgrade is completed, San Antonio-based AT&T will have 3G coverage in nearly 350 U.S. markets by the end of 2008, including all of the top 100 cities. AT&T announced that the expansion will require building out more than 1,500 cell sites, a larger number of sites than contractors thought were going to be constructed this year. AT&T also said it has plans to complete the country's first HSUPA-enabled network halfway through this year. "Fast wireless broadband is the foundation for a whole range of new and emerging applications that our customers are adopting, including everything from social networking to sending live video and large business files," Ralph de la Vega, president and CEO for AT&T's wireless unit, said in a statement. "We're also planning for the future by establishing a clear path to a 4G network that will meet the needs of our customers for years to come," de la Vega said. January 30, 2008 - Had you visited Tower Structures, Inc.'s web site last month you would have witnessed a seemingly vibrant company that manufactured a wide range of structures, and provided engineering and construction services to a diverse field in addition to telecommunications. Today, a single tombstone message lets you know: "Tower Structures has closed." After being a key player in the communications industry for four decades, the Minden, Nevada company's owners decided to end operations after struggling through two back-to-back unprofitable years. TSI's profitability was further weakened during the past few years as too many manufacturers chased too little business in an industry that has seen margins at record lows. Carrier and vertical realtor consolidations and industry diversification into specialized fields such as concealment structures have pressed the closing of many companies. January 21, 2008 - Valmont Industries, Inc. announced that it has acquired the assets of PennSummit Tubular, LLC, a manufacturer of steel poles primarily for the utility industry. PennSummit, which is headquartered in Hazelton, Pennsylvania, had fiscal year 2007 revenues of approximately $50 million. "PennSummit is a very strategic acquisition as it broadens Valmont's customer base in the utility industry and strengthens our leadership position," said Mogens C. Bay, Valmont's Chairman and Chief Executive Officer. "As the utility industry continues to invest in the transmission and distribution grid and improve the reliability of electric power delivery, Valmont's investment is especially timely." Earl Foust, Valmont's President of the Utility Structures Division added, "PennSummit further enhances our geographic footprint with two locations in Pennsylvania. This allows us to better serve our utility customers in the Northeast, where previously we did not have any manufacturing facilities. We have known and respected the PennSummit organization for many years, and will benefit from the capabilities of their seasoned management team. PennSummit Tubular will carry the name Valmont-PennSummit and operate as part of Valmont-Newmark, the Utility Division of Valmont Industries, Inc. Valmont-PennSummit will continue to be led by Raj Pawar, and we are delighted that Raj and his team have decided to join forces with Valmont." Added Raj Pawar, President of PennSummit Tubular, "We are very excited to join the Valmont team, Valmont's commitment to engineering, quality, service and product development complements the PennSummit culture." Valmont's wireless and specialty structures division is expected to benefit considerably from the acquisition by being able to provide a greater selection of concealed structures, flagpoles, monopines and other products. In addition, it will provide a second distribution center in PA.
PennSummit has built a solid reputation for providing quality structures and has been a major competitor in the concealment industry. PennSummit is headquartered at its 16-acre facility in Hazelton, PA.
January 10, 2008 - Patrick Howey, executive director of The National Association of Tower Erectors, says the trade group's upcoming convention in Orlando, Florida, February 11 through 14, is expected to be one the best conferences the association has held. He said that the organization is excited that this year's agenda will again include Edwin G. Foulke, Jr., Assistant Secretary for Health and Occupational Safety at the U.S. Department of Labor. Secretary Foulke was scheduled to speak at a special session last year, but was unable to fly into Orlando due to extreme weather conditions that shut down many of the country's airports. He provided a telephone conference call during the session. "As OSHA's top official, Mr. Foulke's continued willingness to work with NATE has been crucial to numerous initiatives. I encourage everyone to make time for his presentation," Howey said. NATE will be reporting to its voting members the progress being made toward educating the industry on the vital need for hiring qualified contractors. This issue was one of the top items of discussion in last year's voting member session. For the agenda, registration fees, and additional information about the event to be held at Disney's Coronado Springs Resort, click here. January 2, 2008 - American Tower Corporation has alleged that a competitor's founder used the email address of its chairman and CEO, James Taiclet Jr., to try to weaken the company's position with institutional investors. In a suit filed in Manhattan federal court last Friday, American Tower says that Jide J. Zeitlin forwarded a Fortune magazine article from CNN.com's web site in October 2006 that detailed American Tower's stock option practices, using the email address of Taiclet. The email included a message that said "fascinating" and did not indicate that Zeitlin was the sender, according to the lawsuit. The complaint also said, "Defendants' conduct was part of a longstanding and ongoing pattern of conduct intended to undermine American Tower's relationships with its investors and its position in the mobile infrastructure marketplace to the defendants' benefit." American Tower is suing for defamation, computer fraud and other claims and is seeking damages. According to the lawsuit, American Tower alleges that Zeitlin emailed the article to Thomas Stern of Chieftain Capital Management and Nick Advani of Goldman Sachs, major investors in American Tower Corporation. Chieftain Capital is American Tower's fifth largest investor with over $600 million invested, while Goldman is its 11th largest investor with over $300 million, according to the complaint. The lawsuit also names Keffi Group and Independent Mobile Infrastructures, which is a telecom infrastructure competitor of American Tower in India, as defendants. Both companies were founded by Zeitlin. The emails were discovered when a recipient replied to the website alert and the email went back to Taiclet's email address. American Tower had previously filed a lawsuit in Massachusetts state court in which it subpoenaed a technology provider to CNN's web site so it could determine the email's origin. The investigation traced the email to Perry Capital LLC, where Zeitlin had office space, according to the lawsuit. Zeitlin currently serves as Chairman of the Board of Trustees at Amherst College and is a member of the boards of Milton Academy, the Harvard Business School Visiting Committee, Teach for America, Montefiore Medical Center, Playwrights Horizons and Common Ground Community. The 43-year-old entrepreneur also serves as a director of Coach, Inc., a designer and marketer of premium handbags and accessories. American tower said last month that it will pay $14 million to settle a consolidated securities class action filed against the company in May 2006 that concerns its historical stock option granting practices and related accounting. December 27, 2007- CommScope, Inc. today announced that it has completed its acquisition of Andrew Corporation for a total purchase price of approximately $2.65 billion. As of today, Andrew will become a wholly-owned subsidiary of CommScope. "We are delighted with the closing of the Andrew transaction, which marks a new chapter in the history of our company," said Frank M. Drendel, chairman and chief executive officer of CommScope. "We believe this combination will further enhance CommScope's position as a worldwide leader in 'last mile' solutions. Combining our innovative technologies, premier brands and a top-tier customer base, we expect to expand our global service model and create an enhanced offering of communications infrastructure solutions that addresses a broader spectrum of customer needs. With this acquisition, we are advancing CommScope's stated global 'last mile' strategy while creating important cost reduction and growth opportunities that we believe will drive increased shareholder value." "We look forward to working with Andrew's talented team to quickly and smoothly integrate their operations into CommScope. As we continue to invest in the combined business for profitable growth, the talented and dedicated employees of both Andrew and CommScope will continue to play a critical role in the success of the combined company. CommScope is a proven and successful integrator of strategic transactions and we expect to begin realizing the benefits of this combination immediately and enjoy them fully over the next few years," added Drendel. Andrew stockholders will receive, for each Andrew share, $13.50 in cash and 0.031543 shares of CommScope common stock. This fractional share of CommScope common stock was calculated according to the terms of the merger agreement by dividing $1.50 by $47.554, which was the volume weighted average of the closing sale prices for a share of CommScope common stock over the ten consecutive trading days ending on December 24, 2007. November 16, 2007 - The country's 18 state wireless associations, representing 21 states and the District of Columbia, have made an advocacy impact across the nation and they are finding that their message is spreading even further through WirelessEstimator.com's extensive coverage of their events. They're also benefiting from the wireless infrastructure web site's ability to instantly alert tens of thousands of viewers to action requests by SW associations and PCIA - The Wireless Infrastructure Association. State association presidents and officers have encouraged a greater industry voice on the internet and WirelessEstimator.com has expanded its dedication in providing the internet's best coverage since the state wireless program was introduced in 2005. "I find Wireless Estimator's calendar and topical industry news to be excellent," said Mike Parrish of Oldcastle Precast. Parrish, like many other industry professionals, belongs to multiple state wireless groups and says he sometimes finds it difficult to keep up with events and news through emails. Expanding its continued interest and dedication to support state wireless groups over the past two years, WirelessEstimator.com earlier this month combined its extensive news coverage with an easily navigated calendar that provides monthly wireless meetings and events. "This calendar is definitely a big help in preventing scheduling conflicts," said Steve Parker, President of the Kentucky Wireless Association. Parker voiced similar compliments of other association leaders that the up to date calendar and association listing will help with their organizational planning while providing the industry with a great news resource. Michael Lee Foster, Vice President of the New Jersey Wireless Association, appreciates the web site's support of the state wireless program. "When I need to access information regarding SWAP in a timely manner with a comfort level of accuracy, I go to Wireless Estimator," he said. The independent non-profit state wireless groups are assisted by PCIA with their SWA program. Additional information about SWAP can be obtained from Nancy Chrisman,Director, SWAP & Membership. The Tennessee State Wireless Association, founded in 2000, was the country's first state wireless organization. Its current membership is in excess of 400 industry professionals. President Ross Kauffman will be stepping down this year and his leadership role will be ably handled by Janet Gill of Excell Communications. Previously, she was the Director of Marketing and Member Relations for PCIA.